The Hub offers a collection of books, DVDs, CDs, visual aids, sensory toys and other useful tools to help anyone on the autistic spectrum or people caring for someone with autism, Asperger’s or other learning or sensory difficulty. 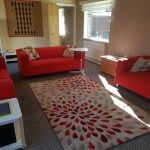 We aim to provide a supportive, informal environment where individuals, parents and professionals can find information, talk to others in a similar situation or just have a coffee and browse our shelves. For several years, the Autism Team and the National Autistic Society (CWaC Branch) have amassed a varied collection of books. 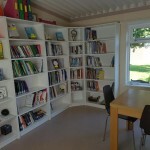 The Autism Service has kindly donated the library for use by the Branch. This collection will grow from grants in place to purchase more books and resources over the coming months. They cover subjects from social skills to emotional understanding, employment and support services to children’s mental health, language development and parental/sibling support. A collection of magazines, journals, DVDs and CD’s are also available to browse on site or take home. The resource library offers the unique facility to borrow or try out on site. This includes sensory toys, weighted clothing, visual aids, ear defenders and timing tools, plus many more in the future. This will prove invaluable for families with children or adults on the spectrum or with related conditions, to help them find items that will provide support in everyday life without having to spend a large amount from the outset. Membership is available to parents and professionals via an annual fee. The cost for a parent membership is £12 a year or £25 per annum for professionals. All parent members will receive a resource pack on joining containing information, informal support and guidance. For further information please email autismlibrarynas@gmail.com or call us on 01606 783 295. Find us on Facebook Autism Library @ Rosebank Bungalow.